A year and a half. That’s how long I’ve been reducing my belongings for. Yeah, so I’m not very quick at this minimalism lark. But here’s what I’m noticing, now that my stuff is nearing a level I’m comfortable with. Tidying is easier. I had some friends come round the other day. ‘Wow, it’s … tidy,’ one said. I’m not the kind of person who gets comments like this. I’ve always been a messy person, too lazy to pick stuff up and too disorganised to have proper homes for my things. Now, either I’m becoming a very particular person, or I just have less to tidy in the first place. Finding things is easier. With fewer possessions, I tend to know where they are. They’re less likely to be hiding under piles of junk. Say I’m looking for the food blender – it’s no longer a case of emptying a whole cupboard out onto the kitchen floor to find all the bits I need. Looking after things is easier. With fewer things to keep in good condition, I’m finding that I take better care of them. I’m keeping my clothes drawers and kitchen cupboards far neater than I have ever done before. It’s like I’m a proper grown-up, finally. I’m spending less money on buying shiny, new things. I have more time, because I’m not spending it shopping. I’m buying higher-quality stuff. Yes, I’m trying to save money at the moment, but if I’m going to have just one of everything, I want it to be a really nice one and I don’t want it to break. My house feels bigger and more stylish. Ever flick through interior magazines and see really cluttered, chaotic homes? Nope, me neither. I’m becoming a more considerate gift-buyer. I pretty much always ask people whether they want something in particular, or buy something like food, drink or flowers. I don’t want to give people the stress I had about receiving gifts I didn’t know what to do with. I don’t miss the stuff I’ve got rid of. I tend to get attached to things for silly reasons. But I’ve found that even when I’m reluctant to let them go, once they’re gone I rarely give them a second thought. I feel calmer when I’m at home. Sometimes when I leave for work with everything in its place, I notice an odd feeling that all is well with the world. So these are just a few of the up-sides I’ve noticed. Down-sides, well, I’m trying to think of one thing I’ve got rid of and regretted but I don’t think there’s been anything so far. However, I have tended to err on the side of caution, so it’s all been taking far longer than it needed to and I have definitely found myself clearing out the same space multiple times. I guess another downside is that I can sometimes now find myself getting anxious and ungrateful about receiving gifts. I have yet to figure out a solution to this. My other half isn’t as on-board with minimalism as I am, and I’ve had to learn to be ok with that too. For that reason, I don’t think my house will ever look like a minimalist’s. And there are some other aspects of minimalism I really have to do some more work on. I know I’ll never be the kind of person whose possessions fit into a backpack, and that’s ok. But now I’m nearing a level where I’m comfortable with the amount I have, I need to take what I’ve learnt and apply it elsewhere. I need to minimise my time wasted online. I need to prioritise experiences and get out more. I need to find something to do that will fill the hole that shopping and acquiring once did. Yes, minimalism has brought me satisfaction and saved me money. But now that’s cleared out of the way, what have I made room for? I have also gotten to the point where I do notice the difference. There’s still too much stuff, but it’s getting better. My husband isn’t totally on board and we have a soon to be 10yo that is better about getting rid of stuff. I do my best to “only handle it once” (OHIO) so that if it’s in my hand, it will be put away. I’m not always successful, but I’m getting there. One of my huge pet peeves is losing things, so putting things away helps that. Yes, I’d like to have less stuff that needs putting away, but we’re a work in progress. This morning my husband asked where a particular travel coffee mug was. I looked in the cupboard where “away” is and it wasn’t there so I told him it was wherever he left it. He was not amused. I know what you mean!! 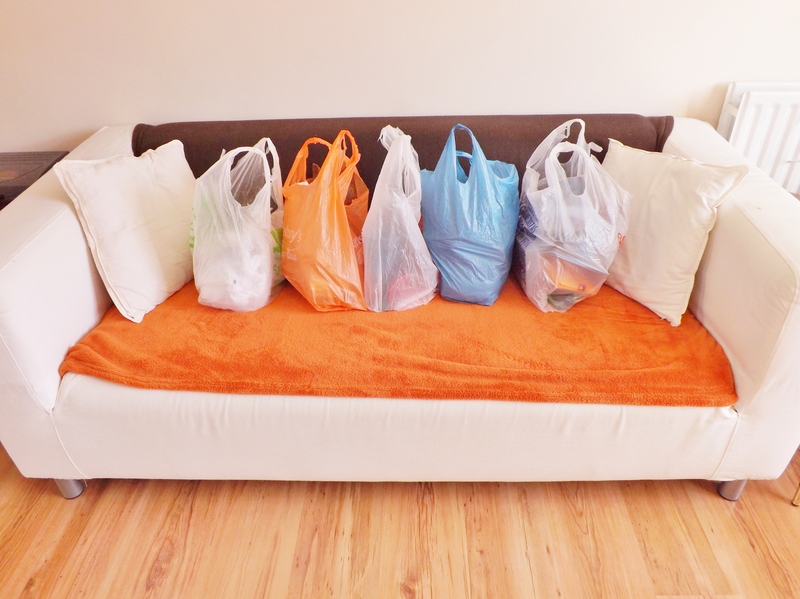 The shopping “habit” is hard from the physical act perspective. All those “retail therapy” jaunts need to be replaced with something else!! I’m working on that very thing myself. Thank you for this article! I can soooo relate to this, especially the “getting anxious and ungrateful about receiving gifts.” Can’t wait to read how you figure out this one. I haven’t had any great ideas yet except selling things on ebay or giving them to someone else and feeling guilty (obviously). Anyway, loved reading this article! Sweetness! It’s a long journey for me. What keeps me hopeful I can do this is remembering simpler times when I had only what I needed and was happy with that! The only thing I wanted then was better clothing, but even now I’m no stylish deva. So that hasn’t changed much. I just know simplicity is better for me, and that is a worthwhile goal. Thank you for sharing your journey!